After waiting for months for Netflix's new Ultraman series to start, I finally got a chance to watch the first few episodes earlier today. With the season consisting of 13 episodes of 22 minutes each, it won't take long to watch it all even on my schedule. 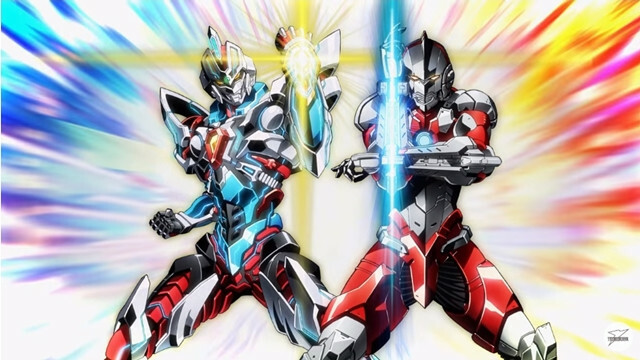 The show is based on a manga series starring the son of the original Ultraman in a mature and gritty take on the 50 year old series. It's a sequel to the original Ultraman series, so it's easy to jump in even if you haven't watched much Ultraman. I really like the show so far. The characters are written well and the plight of our hero is a relatable one. He's growing into his role as a super hero and dealing with all the inner turmoil that goes along with it. The Science Patrol has evolved with the times and is presented how a organization like it should. Visually, the show is striking. Though I will say the human characters are not as detailed as the other characters like aliens or Ultras. I don't know if that's just me though, and it might well just be my perception. Either way, it's not distracting, just noticeable. Earlier I mentioned the show was gritty and mature, and it is. However, so far that doesn't feel forced ala Zack Snyder movies (pouring sand into water to make it 'gritty' and as dark as a 14 year old in a ICP shirt). Rather it feels natural, and more like a serious take on the subject matter. I've had high hopes for this show and am pleased so far. Really hoping that the rest of the season delivers and the show has more seasons.